Nikon has introduced its first camera specifically billed as "family" camera, equipped with large buttons and waterproofing and shockproofing. The Coolpix S30 is, according to Nikon, targeted at "children all the way up to their grandparents" and also features simple menus. Also on board is a 10 million pixel sensor, 3x optical zoom lens, 2.7-inch LCD screen, 720p video recording and in-camera filters. It is waterproof to depths of three metres and shockproof from up to 0.8 metres. Large one-touch buttons, along with a simple operating interface has been especially designed to reflect the way children use technology. It features a symmetrical layout that has a large shutter button on either side, one for still images and the other for video. It also features a raised lens and built-in flash centred in the device to help prevent fingertips from sneaking into a shot. The 3x optical zoom Nikkor lens includes e-VR (automatic vibration reduction technology) to help prevent motion blur. 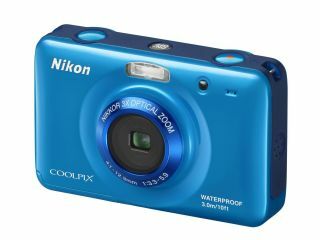 The Nikon Coolpix S30 UK price is £99.99 and it will be available from 29 March 2012 in white, black, pink and blue.